Benjamin West, Death on a Pale Horse, 1796. Would you get a high-tech tattoo for the convenience it would provide? An example of this is a company called Chaotic Moon, which offers Tech Tats, a biowearable temporary tattoo that can store, send, and receive data such as your physical vitals, and send the information to your smart phone, or even to your physician, who can then notify you if they need too. It can also store financial information, using Apple Pay through your mobile device. 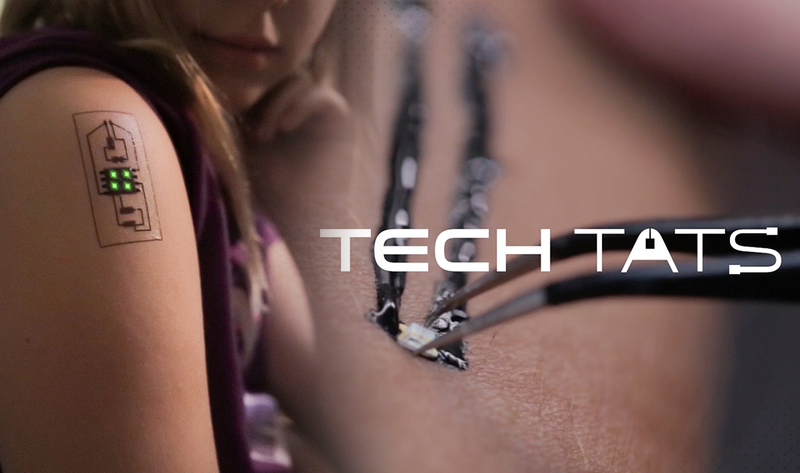 Of course right now Tech Tats is painted on the skin with electronic ink and tiny sensor chips, and so are temporary. But I would be willing to bet that a permanent tattoo already exists, this is probably just a trial balloon to test the responsiveness of the public. As a matter of convenience the company is also considering offering the Tech Tats in a Band-Aid like package deal so that consumers can buy them in bulk. Its easy to see the applications for this kind of technology, and it probably won’t be long before something like Tech Tats is implantable, making it a permanent part of your body. Of course implantable chips have been around for years, and many people are already “chipped.” While applications like this do provide a vital practical service (which is obtainable through other technology), it is easy to see that it does open the door for abuse by tyrannical governments to track and control the population. Imagine if you speak out against the government; all they have to do is turn your chip off and your financially trapped: you can’t buy or sell, or hold a job for that matter. In other words, they have you, they control you, and in a very real sense, such a person is more than likely considered government property. It is easy to see that is nothing more than high-tech slavery. Mind control technologies also exist to manipulate the population. Some researchers even claim that alien abduction is a cover for government sponsored mind control, and I would not doubt that for a minute, which brings up another point. How would we know if an alien invasion is a real event, or a secret government operation for psychological warfare? In my book Alien Antichrist I wrote about an alien invasion when Satan and his fallen angels are cast out of the heavens. That part I know is true, because it is part of Bible prophecy, as I explained in chapter 9, Alien Invasion: Woe to the Earth and Sea. But what if the military-industrial complex is technologically capable of initiating a mock alien invasion designed to psychologically terrorize the world into submission? Think about that for a minute. How would we know if the invasion is a real supernatural event, or if the invasion is a made-up version using advanced technology? 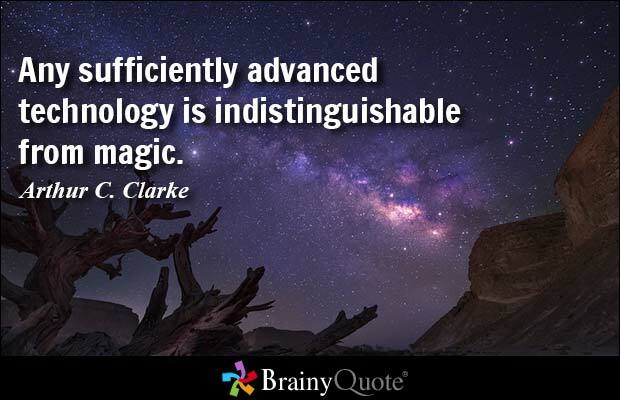 As noted by Arthur C. Clark, Any sufficiently advanced technology is indistinguishable from magic. How would we distinguish between authentic supernatural demonic phenomena and super-advanced technology developed by, lets say, DARPA? How could we tell the difference between the two? That something to think about, isn’t it? As a Christian I know that we have, through Jesus Christ, the authority and power to live free from demonic interference, or possession. The authority of His name is powerful enough to deliver anyone, if they really do desire spiritual freedom, and will submit to the authority of Christ. During the Great Tribulation Christians are sealed by the Holy Spirit, and so shall be free from torment by demons. “And there came out of the smoke locusts upon the earth: and unto them was given power, as the scorpions of the earth have power. And it was commanded them that they should not hurt the grass of the earth, neither any green thing, neither any tree; but only those men which have not the seal of God in their foreheads” (Revelation 9:3-4). But those not sealed by the Holy Spirit will be tormented for five months. 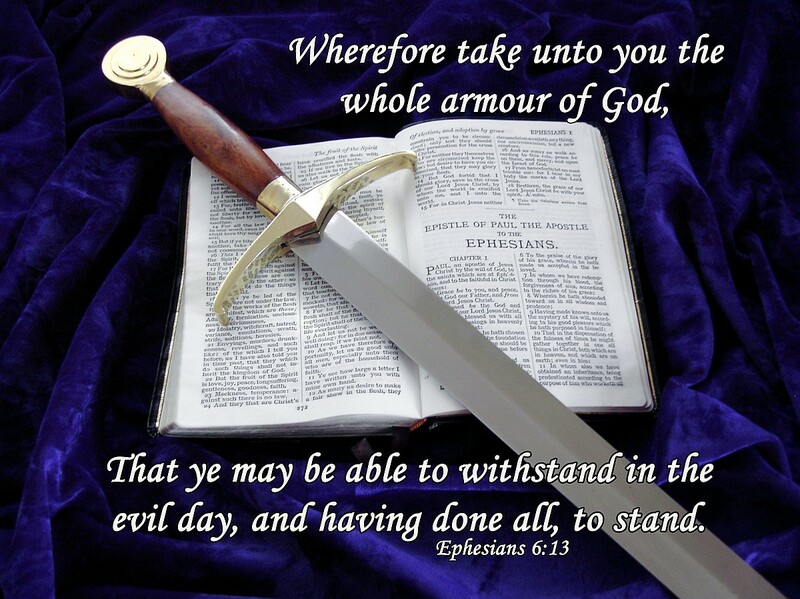 Now, Christians will be killed by the Beast, that is clear from the biblical text, but they will not be tormented in their body or mind by demons because they have the seal of God in their foreheads. In stark contrast, those not sealed by the Holy Spirit will be marked on their forehead or right hand, implying either a supernatural mark of the Beast, or a mark created from technology. I am of the mind to believe that if a mock alien invasion occurs by means of the technology of the military-industrial complex, that technological means will be used to physically and mentally torture everyone, including Bible believing Christians. However, when a real invasion occurs by means of the Fallen Ones, they will not be able to use their power to physically and mentally torture real born-again Christians because of the mark of God in their foreheads. They may kill Christians (the book of Revelation does mention Christians martyred for their faith), but they will not have the power to affect the Holy Spirit sealed Christian mind as they will do to the rest of the Christ-rejecting, unbelieving world. Just my thoughts, let me know what you think about these issues.